Apples recent and long awaited announcement of Apple Pay which brings mobile payments to the iPhone 6, is an important step forward in Mobile Payments for a number of reasons. Firstly Apple have been building towards this over a number of versions of iOS and the iPhone, it has not just suddenly appeared with the addition of NFC to the iPhone 6. The iPhone 5S added thumb print recognition, an important biometric security for payments. Before that they added Passbook, which was always meant for more than just boarding passes and event ticketing. Since the first version of the iPhone, iTunes accounts – with Credit Card numbers have been integrated into all Apple purchase transactions. This included the Apple Store app where you can buy accessories in an Apple store straight from your iPhone charging your iTunes account and Credit Card. Now that Apple have over 800 Million Credit Cards in iTunes accounts it made sense to leverage that link to make mobile payments easy for Apple users – simply enter the Card CVV number and you are ready to go with a default payment card. Secondly, Apple are leveraging existing payment channels and infrastructure and not trying to disintermediate the banks or card schemes. They have worked with Visa, Master Card and Amex to implement tokenisation to secure the credit card number and transaction data, making this implementation of Apple Pay more secure than physically using your Credit Card. They will utilise the existing EMV Chip and Pin payment infrastructure which already supports contactless (and hence NFC) payments at Point of Sale. Even though the USA still significantly lags the rest of the world in EMV adoption, things are changing quickly and with liability shifts the retailers in USA will be forced to follow the rest of the world and implement the new payment infrastructure. 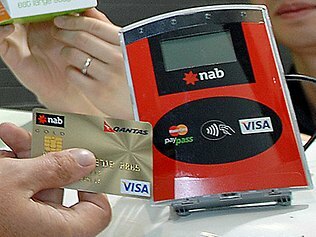 Contactless payments have already had a huge uptake in Australia on the back of EMV and Chip and Pin is accepted all over Europe and Asia. Finally they have made it really secure and easy to add other payment cards to the Passbook wallet by just taking a picture of the card. No card numbers are stored on the phone and the card’s token is stored on the Secure Element chip on the phone for transactions. Even if the phone is lost or stolen, tokenisation, thumbprint authentication and being able to erase your data with Find my iPhone will overcome any fears of misuse. Surely that is even more secure than plastic cards in a physical wallet? Apple didn’t just deliver one mobile wallet at its iPhone 6 and Apple Watch launch event on Tuesday. It delivered two. Its new Apple Pay service, which will launch on the iPhone 6 and iPhone 6 Plus in October, combines two mobile payment methods that are often conflated to represent entirely different types of transactions: using your phone in lieu of plastic to pay at the cash register, and buying goods online over your mobile phone. Good article covering the implementation of Apple Pay with the iPhone 6. Australia is even better placed than the USA because of the huge uptake in EMV and Contactless Payment terminals. Visa and MasterCard take on PayPal with online digital wallet which stores multiple cards, delivery information for faster checkouts.